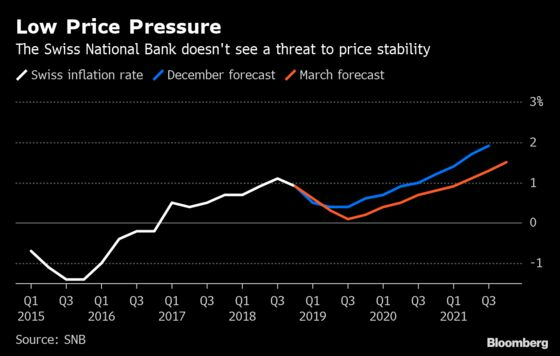 The Swiss National Bank could reduce its already ultra-low interest rates again if the situation warrants, President Thomas Jordan said. 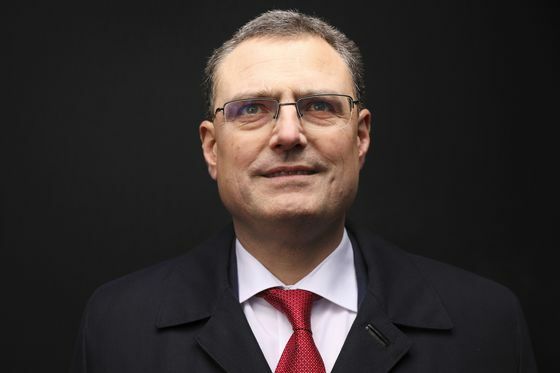 With a deposit rate of minus 0.75 percent, the SNB has already enacted the lowest interest rate of any major central bank. That tool is designed to keep pressure off the franc, which is regarded as a safe haven at times of market uncertainty. Still, the Swiss currency hit a 20-month high against the euro at the end of March, and a no-deal Brexit or political turmoil in Italy could intensify appreciation pressure. Jordan was in Washington to attend the spring meetings of the World Bank and the International Monetary Fund, which this week cut its growth outlook for the global economy in 2019 to the weakest since the financial crisis. Switzerland is expected to expand about 1.5 percent this year, a forecast Jordan confirmed on Saturday. “Both instruments are highly effective at this moment and they will remain key parameters of our monetary policy for the time being,” he said. While Switzerland’s negative rates are softened by a tiering system, the country’s banks still blame the policy for crimping profitability. Jordan said the SNB’s stance on tiering was appropriate. Meanwhile, in the euro area, where the European Central Bank committed to keeping rates low for longer to grease the wheels for the economy, President Mario Draghi has said his institution will look into ways to mitigate the impact of sub-zero rates. Some officials voiced concerns about their side effects, with Austrian central bank chief Ewald Nowotny citing the Swiss model as an alternative.